In 609 BC Pharaoh Necho II of Egypt decided to came to assist the Assyrian king Ashur-uballit II. He led the Egyptian army and marched to fight against the raiders. The Egyptian army of Pharaoh Necho II was delayed by a fight against the forces of King Josiah of Judah. Josiah was killed, and his army was defeated in the Battle of Megiddo (609 BC). In 605 BC the armies of Egypt and Assyria came together to defend the Assyrian Empire against the raiders of Turkicified Medes, Persians and Scythians who came from Noe-Babylonia. The Egyptians and Assyrians together crossed the Euphrates and laid siege to Harran, which they failed to retake. They then retreated to the new capital Carchemish. Turkic raiders followed them and attacked Carchemish. The Egyptian and Assyrian forces were destroyed by the raiders led by Nebuchadnezzar II at Carchemish. From that day Assyria ceased to exist as a sovereign state, and Egypt retreated and was no longer a significant force in the Ancient Near East. This victory created what is called the Noe-Babylonian Empire 626 BC till 539 BC with its capital in Babylon, which became the only power in the region after 605 BC. The Noe-Babylonian Empire 626 BC–539 BC was really not Babylonian but rather Turkic rule over defeated Babylonians. Neo-Babylonian had 6 Turkic destructive irrational kings in only 87 years. They were: Nabu-apla-usur (Nabopolassar) 626 – 605 BC, Nabu-kudurri-usur II (Nebuchadnezzar) 605 – 562 BC, Amel-Marduk 562 – 560 BC, Neriglissar 560 – 556 BC, Labaši-Marduk (Labashi-Marduk) 556 BC, and Nabonidus 556 – 539 BC. Cyrus sent hundreds of thousands of Turkic people to maintain and deepen the colonization of Judah and Samaria, claiming that the returnees were the descendants of the original rulers. The Turkic migration and colonization which was called the return of the captives was a continuous process rather than a single event, and most of the deportees or their descendants did not return. 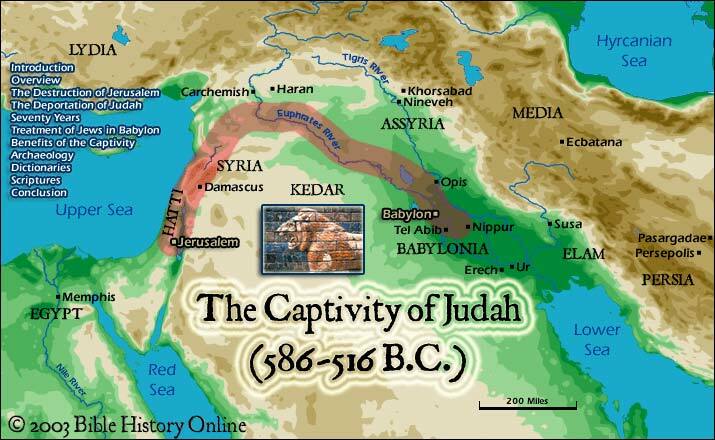 Judah, now called Yehud, was a Persian province, and the returnees, with their Turkic Persian connections in Noe-Babylon, were in control of all the land of Israelites. They represented also the descendants of the old “Yahweh-alone” movement, but the religion they instituted was significantly different from both monarchic Yahwism and modern Judaism. How Talmudic Judaism was Invented? Moses died in 1406 BC (or 1272 BC as in some Jewish writings) leaving behind him the Written Torah. After 1600 years from Moses’ death the first part of the Talmud, the Mishnah, appeared. The Talmud is written in Tannaitic Hebrew and Jewish Babylonian Aramaic and contains the teachings and opinions of thousands of rabbis (dating from 200 CE to 600 CE) on a variety of subjects, including Halakha (law), Jewish ethics, philosophy, customs, history, lore and many other topics. Mishnaic Hebrew also called Tannaitic Hebrew or Late Rabbinic Hebrew or Amoraic Hebrew found primarily from the 1st to the 4th centuries of the Common Era, corresponding to the Roman period after the destruction of the Temple in Jerusalem, it was a spoken language (and not restricted to writing). The Talmud is the basic codes of rabbinic Jewish law. According to Rabbinic Judaism, the Oral Torah, or Oral Law (which is said to be the basis of the Talmud), represents those laws, statutes, and legal interpretations that were not recorded in the Five Books of Moses, the “Written Torah”, but nonetheless are regarded by Orthodox Jews as prescriptive and co-given. The Talmud is considered as a central text of Rabbinic Judaism. It is traditionally referred to as Shas, a Hebrew abbreviation of shisha sedarim, the “six orders”, a reference to the six orders of the Mishnah. The term “Talmud” normally refers to the collection of writings named specifically the Babylonian Talmud. Talmud is often called “the discussions of Abaye and Rava” (two rabbis). The Talmud has two parts, the first part is the Mishnah, and the second is the Gemara. “Talmud” translates literally as “instruction” in Hebrew, and the term may refer to either the Gemara alone or the Mishnah and Gemara together. The Mishnah is an edited record of the complex body of material known as oral Torah that was transmitted in the aftermath of the destruction of the Second Temple in 70 CE. It was compiled by Rabbi Yehudah haNasi “the prince” who was wealthy and he headed an assembly he made during 200–220 CE. It is a written compendium of Rabbinic Judaism’s Oral Torah. The Gemara, (from Aramaic verb Gamar means study) (compiled during 200- 600 CE), is an elucidation of the Mishnah and related Tannaitic writings that often ventures onto other subjects and expounds broadly on the Hebrew Bible. Although the two parts of the Talmud were written several hundred years after the Exile but it is called Babylonian Talmud. When people speak of “the Talmud,” they are usually referring to the Talmud Bavli – with a Persian use of “V”- (Babylonian Talmud), composed in Babylonia (modern-day Iraq). However, there is also another version of the Talmud, the Talmud Yerushalmi (Jerusalem Talmud), compiled in what is now northern Israel. The Yerushalmi, also called the Palestinian Talmud or the Talmud Eretz Yisrael (Talmud of the Land of Israel), is shorter than the Bavli, and has traditionally been considered the less authoritative of the two Talmuds. The Gemara part of the Yerushalmi, though, differs significantly in both content and style from that of the Bavli. The Yerushalmi Gemara is primarily written in Palestinian Aramaic, which is quite different from the Babylonian dialect. During the Babylonian captivity of the 6th and 5th centuries BC, certain circles in Babylon redefined pre-existing ideas about monotheism, election, divine law and Covenant into a strict monotheistic theology which came to dominate the former Judah in the following centuries. From the 5th century BC until 70 CE, the Jewish religion developed into the various theological schools of Second Temple Judaism, besides Hellenistic Judaism in the Diaspora. Second Temple Judaism was significantly influenced by Zoroastrianism. The text of the Hebrew Bible was redacted into its extant form in this period and possibly also canonized as well. Rabbinic Judaism developed during the 3rd to 6th centuries CE; the Masoretic Text of the Hebrew Bible and the Talmud were compiled in this period. The oldest manuscripts of the Masoretic tradition come from the 10th and 11th centuries CE; in the form of the Aleppo Codex of the later portions of the 10th century CE and the Leningrad Codex dated to 1008–1009 CE. Due largely to censoring and the burning of manuscripts in medieval Europe the oldest existing manuscripts of various rabbinical works are quite late. The oldest surviving complete manuscript copy of the Babylonian Talmud is dated to 1342 CE. The Yahweh-alone party returned to Jerusalem after the Persian conquest of Babylon and became the ruling elite of Yehud. Much of the Hebrew Bible was assembled, revised and edited by them in the 5th century BCE, including the Torah (the books of Genesis, Exodus, Leviticus, Numbers, and Deuteronomy), the historical works, and much of the prophetic and Wisdom literature.The growing collection of scriptures was translated into Greek in the Hellenistic period by the Jews of the Egyptian diaspora, while the Babylonian Jews produced the court tales of the Book of Daniel (chapters 1-6 of Daniel – chapters 7-12 were a later addition), and the books of Tobit and Esther. Other scholars contend that the development of a strict monotheism was the result of cultural diffusion between Persians and Hebrews. While (in practice) dualistic, Zoroastrianism believed in eschatological monotheism (i.e. only one god in the end). Some suggest that it is not merely coincidence that the Zoroastrianism’s model of eschatological monotheism and the Deuteronomic historians strictly monotheistic model receive formative articulations during the period after Persia overthrew Babylon. Second Temple Judaism was divided into theological factions, notably the Pharisees and the Sadducees, besides numerous smaller sects such as the Essenes, messianic movements such as Early Christianity, and closely related traditions such as Samaritanism (which gives us the Samaritan Pentateuch, an important witness of the text of the Torah independent of the Masoretic Text). Canaan was a region in the Ancient Near East during the late 2nd millennium BC. It corresponds to southern part of the land east to the Mediterranean (southern Levant). According to the Table of Nations in the Book of Genesis, Ham was a son of Noah and the father of Cush, Mizraim, Phut and Canaan. In this way Canaanites are Hamites and not Semites. 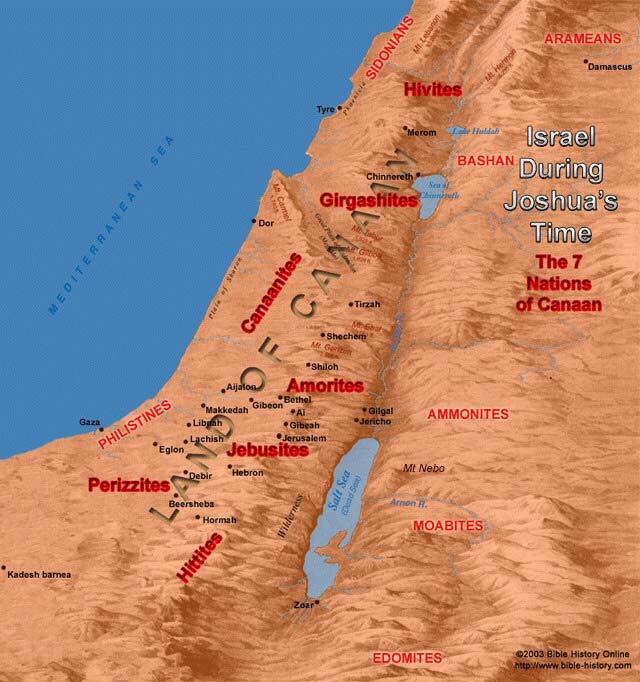 Canaanites is used more broadly to refer to all the inhabitants of the land, including the Hivites, Girgashites, Jebusites, Amorites, Hittites, and Perizzites. 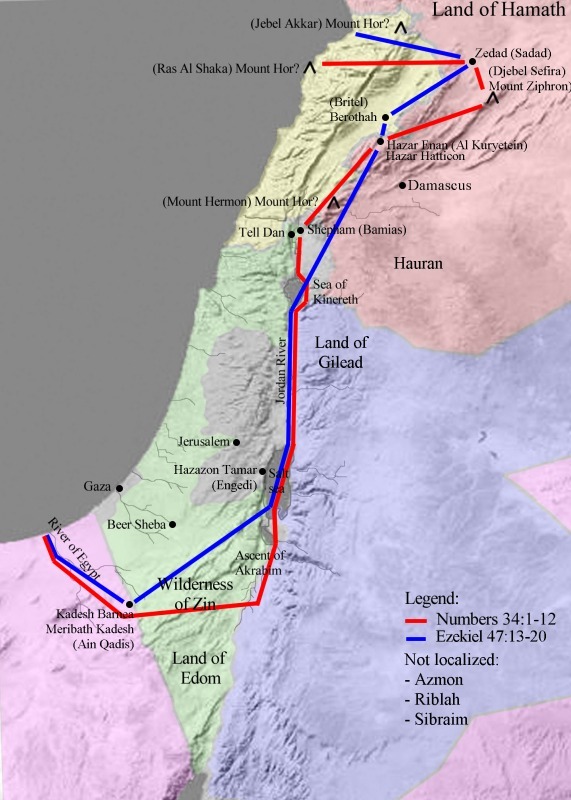 The Promised Land is the land which, according to the Tanakh (the Hebrew Bible), was promised and subsequently given by God to Abraham and his descendants. The promise was first made to Abraham (Genesis 15:18-21), then confirmed to his son Isaac (Genesis 26:3), and then to Isaac’s son Jacob (Genesis 28:13), Abraham’s grandson. The Promised Land was described in terms of the territory from the River of Egypt to the Euphrates river (Exodus 23:31). 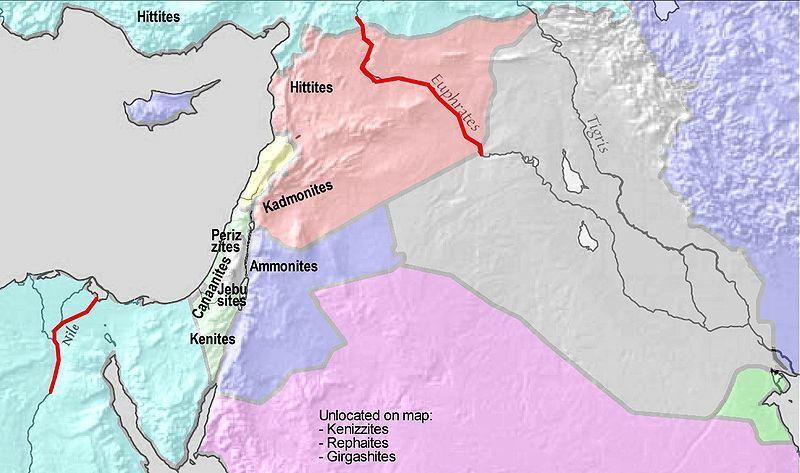 A smaller area of former Canaanite land and land east of the Jordan River was conquered and occupied by the descendants of Jacob “Israel”, the Israelites, after Moses led the Exodus out of Egypt (Numbers 34:1-12), and this occupation was interpreted as God’s fulfillment of the promise (Deuteronomy 1:8). Moses anticipated that God might subsequently give the Israelites land reflecting the boundaries of God’s original promise, if they were obedient to the covenant (Deuteronomy 19:8-9). Jacob had 12 sons and at least one daughter (Dinah) by two wives and two concubines. According to the biblical tradition, the twelve sons fathered the twelve tribes of Israel. The Twelve Tribes of Israel were: Tribe of Reuben, Tribe of Simeon, Tribe of Levi, Tribe of Judah, Tribe of Issachar, Tribe of Zebulun, Tribe of Dan, Tribe of Naphtali, Tribe of Gad, Tribe of Asher, Tribe of Joseph, and Tribe of Benjamin. Jacob elevated the descendants of Ephraim and Manasseh (the two sons of Joseph and his Egyptian wife Asenath) to the status of full tribes in their own right, replacing the tribe of Joseph. This way the Tribes of Israel became 13. There is no indication that the Israelites ever lived in Ancient Egypt, the Sinai Peninsula shows almost no sign of any occupation for the entire 2nd millennium BC, and even Kadesh-Barnea, where the Israelites are said to have spent 38 years, was uninhabited prior to the establishment of the Israelite monarchy. The Exodus is the founding period of Israel. It tells their departure under the leadership of Moses, the revelations at Sinai (including the Ten Commandments), and their wanderings in the wilderness up to the borders of Canaan. The historicity of the Exodus story has long been a subject of debate. The current archeological evidence does not support the historical accuracy of the biblical narrative, and the opinion of the overwhelming majority of modern scholars is that it was shaped into its final present form in the post-captivity period. Moses lived during 1393-1273 BC. The biblical description of the conquest of Canaan has been shrouded in a cloud of doubt for many years. At the turn of the century, the biblical consistent date of 1400 B.C. was the generally accepted date for the conquest. The period from the conquest of the Promised Land under the leadership of Joshua until the formation of the first Kingdom of Israel, passed with the tribes forming a loose confederation. 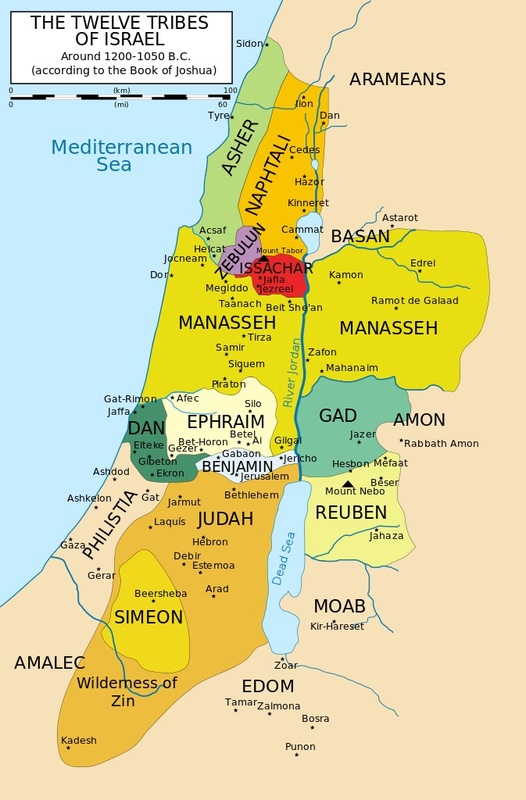 Canaan became the land of Kingdom of Israel (United) during 1050 BC–930 BC. 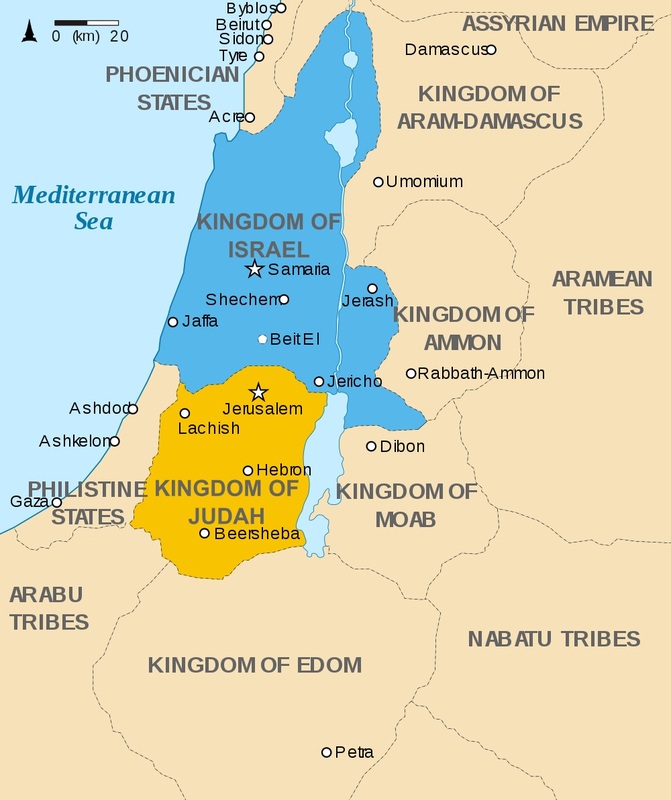 In 930 BC, after a civil war, the Kingdom of Israel was divided into two kingdoms. 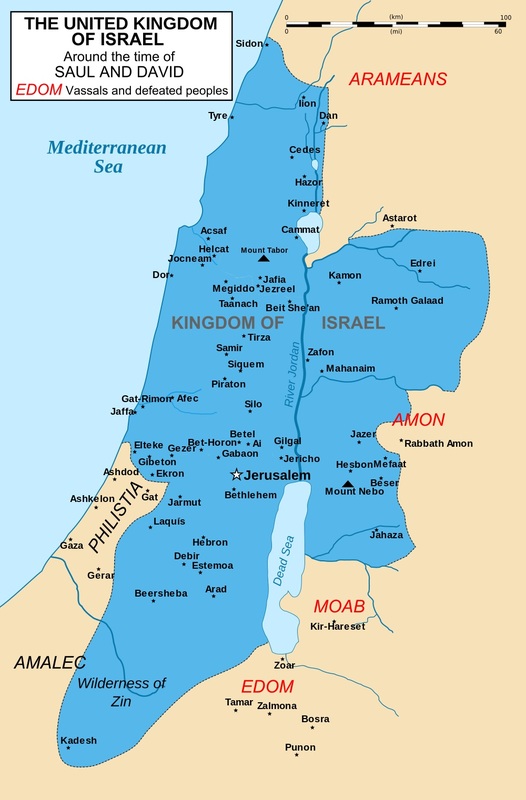 According to the Hebrew Bible, the Kingdom of Israel (Samaria) in the north 930 BC–720 BC was one of two successor states to the former United Kingdom of Israel. Kingdom of Judah 9th or 8th century BC – 586 BC was the southern successor to a united first Kingdom of Israel. as far as I know, the turkic people today (in turkey) are largely descendents of anatolia (the iranian branch of indo-europeans), with turkic admixture. And the jews are quite clearly descendents of southern arabian peninsula and western levant. And that’s waht the genes say. Furthermore the persians are genetically an admixture of iranians. And they are not in an overlap with the turkic peoples. Turkish are small group from the Turkic cluster. Just look into the Presidential Seal of Turkey. It has a large 16-pointed star (the Sun, symbolizing the Republic of Turkey) in the center, which is surrounded by 16 five-pointed stars, symbolizing the 16 Turkic Empires in history. And these are only part of their crimes since they forced the Chinese to build the Great Wall. Sir are the Scythians and Huns that came to India crypto Jews ? Turkic invasions which usually begin as migrations then turn into colonization started around 1800 BC and their first victim were Scythia. Scythians were rich and civilized but soon were enslaved and that gave power, wealth and size to Turkic invaders who went on and migrated/invaded north India and also enslaved them and became even stronger forming the Indo-Aryan. The Turkic mix which was known as Indo-Scythians and Hepthalites (white Hunas) came to India from the Turkic mix based in Bactria around 400 AD. They were less civilized, not powerful and smaller. 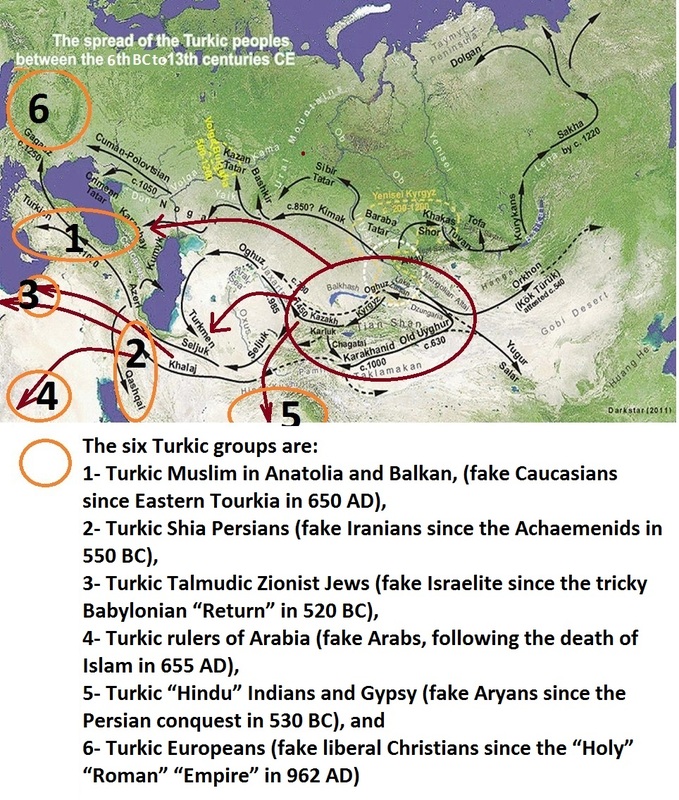 Judaism is a Turkic political association not a religion that started in 530 BC in Turkic Babylonia and Turkic Persia. Therefore it is most likely that the Indo-Scythians and Hepthalites (white Hunas) were encouraged by the Turkic newly formed colonies in Levant and followed the same tactics the Turkic used to invent Turkic version from the Arab Yemenite Israelite who colonized Canaan for 900 years before them. There was a man-made Yemeni Israelite invented “religion” after Moses and before the invention of Jews and Judaism, it may be called the Hebrew “religion”. So my answer is yes, the Indo-Scythians and Hepthalites (white Hunas) are either crypto Jews or Jewish allies or sympathizers; but the Indo-Aryans have older Turkic-Scythian origin too. I prefer to call Indo-Aryans = Turko-Indians; and Indo-Scythians = Turko-Aryans; and Indo-Europeans = Turko-Europeans, they make more sense to me. And there is nothing Caucasian in India or Iran. This Caucasian myth is only Scythian even in the Caucasus. What is really important for all counties and nations experienced Turkic migrations, invasions and colonization is to scientifically identify all Turkic changes and reverse them decisively and completely to restore the native features of these countries and nations. This must need a strategic research institute to examine history, languages, religions, cultures, and current social, economic, and political systems.